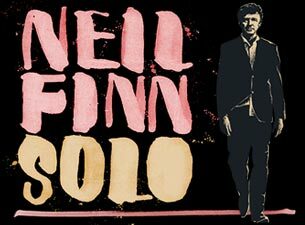 A solo performance by NEIL FINN is a rare experience; one that is certain to leave long lasting, treasured memories. Fans in Melbourne and Sydney will have the opportunity to attend two such intimate and very special performances next month. Neil Finn will play the Melbourne Recital Centre on his birthday Wednesday May 27, followed by a Sydney show at the City Recital Hall Angel Place on Saturday May 30. The set-list will range right across Finn’s extensive repertoire as he dips in and out of a vast catalogue that spans compositions he’s made famous with Split Enz, Crowded House, The Finn Brothers and through the course of his three solo albums, playing a mix of acoustic and electric, guitar and piano. The chance to see Finn perform solo certainly doesn’t come around very often. Other than two shows at Sydney’s Seymour Centre in 2010 and a set at the Meredith Festival, these forthcoming shows will be Neil’s only solo East Coast performances in Australia during the past decade, and these are absolutely shows not to be missed.